Barbecue is a man’s business? We currently enjoy many visitors and interested parties at our fair. Numerous ladies also enjoy the superfast, safe, smoke-free and ecological Feuerdesign table grill. 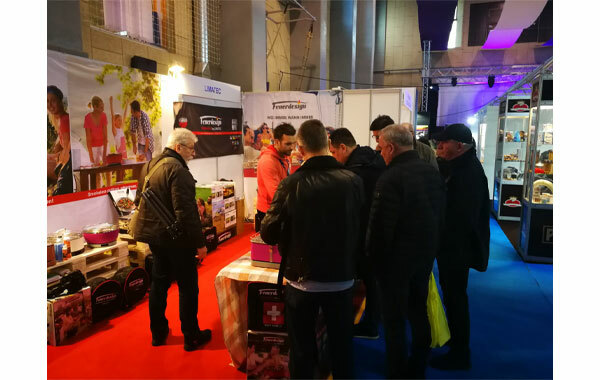 Visit us at the Adriatic Gastro Show until February 9, 2019 in Hall 2, Booth 141. Our practical accessories will inspire you. No time? Then visit us at the Boat Nautic Zagreb from 20.2.-24.2.2019 in hall 11d, booth 5 and at the GASTfair in Split from 27.2.-2.3.2019 in hall A1, booth 31. As a highlight, we also present our long-lasting, colourful, modern and varied, affordable mini-kitchens at all exhibitions. They are ideal for holiday apartments, home dwellings or for student’s flats. Thanks to the selectable, first-class high-tech appliances, they are also ideal for a cozy home!